Home / Jobs / We’re Hiring! We are delighted to announce the opening of 3 new positions at Advant Medical, where we believe our people are our strength. Our positive team environment provides all employees with comprehensive on the job training and support. For full job descriptions, please visit our careers page here. The Process Engineer will maximise the performance of manufacturing processes by providing high impact technical/operational support. There will be a key focus on quality, out-put volume and cost achieved through the development of robust processes to the highest possible standards. The suitable candidate will have a minimum of 5 years professional experience in a responsible Process Development/Manufacturing Engineering role within the medical device/healthcare industry. 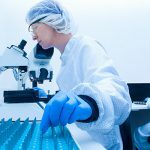 The Production Operator will be required to perform a variety of medical assembly and processing tasks as a production team member, as well as ensuring products assembled meet quality standards. The suitable candidate must have 1 years experience in a similar role. As a Quality Inspector, key responsibilities include inspecting incoming raw materials and to ensure conformity to Advant specification, and to inspect product in manufacturing to ensure conformity to customer specifications. As part of the quality department, the Quality Inspector is an evening shift role.